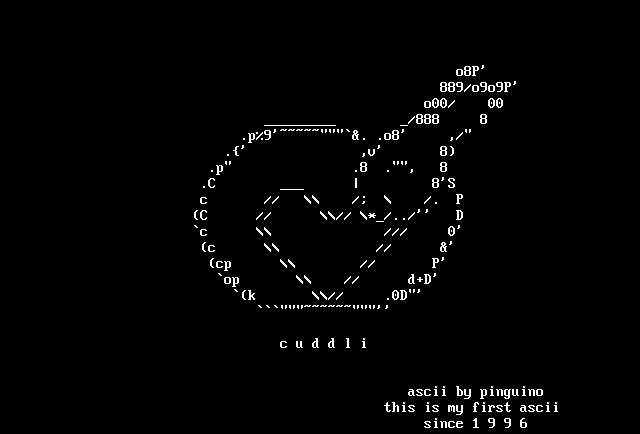 I seriously last did ascii in 1996 and it was nowhere near this good. Also this isn’t very good. I’m proud of it anyways. It lives on our irc server.